EXECUTIVE SUMMARY: The US administration and Congress should address a major loophole in the sanctions regime: the robust financial and economic ties between Gulf States and their Iranian nemesis. This would contribute to Iran’s economic distress as well as its sense of isolation. As relations between the US and its European allies hit new lows, driven in part by their resistance to the Trump administration’s decision to renew sanctions against Iran, a major loophole in the sanctions regime – the robust financial and economic ties between Gulf States and their Iranian nemesis – is being largely overlooked. It is high time for the administration and Congress to tell the Arab Gulf States, which are probably the greatest beneficiaries of American might in the world today, that they have to get their economic dealings into line with their anti-Iranian rhetoric rather than undermine the sanctions, which are coming at considerable cost to American taxpayers and business interests. The US security umbrella is vital to the Gulf States’ very existence. Iraq, with its invasion of Kuwait in 1990, proved their vulnerability beyond any doubt. Kuwait was conquered in less than two days and would probably have been permanently incorporated into Saddam Hussein’s state had it not been for the US-led coalition that drove the Iraqis out. 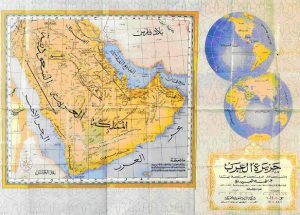 Once that regime was contained and destroyed by the US-led invasion in 2003, Iran – had it not been for the US security umbrella – could have repeated the same exercise to target such lucrative objectives as the United Arab Emirates and Qatar, with which it ostensibly has good relations. Like Kuwait, these are “walkover” states with little ability to defend themselves against a state whose population is ten times their combined populations, whose regime is highly motivated, and which has ever-increasing scientific and technological knowhow. Even Saudi Arabia would have been vulnerable to direct Iranian military attack by land through Iraq’s south, which has been governed by Shiites or through Iraq and Kuwait ever since the US invasion. Though many Shiite elites in the Iraqi government have their differences with Iran, it is hardly conceivable that the Iraqi army would sacrifice lives to prevent Iranian troop movement through Basra to secure the vulnerable oil-rich areas of Saudi Arabia. What keeps Iran at bay is instead the vivid memory of the US blitzkrieg in Iraq in 2003, a feat that matches if not surpasses the German occupation of Poland in September 1939 (the comparison is exclusively military and in no way moral), as well as other incidents such as Operation Praying Mantis in April 1988, in which the US Navy destroyed five Iranian boats at the cost of 55 sailors against the loss of a single helicopter (due to technical failure). The Iranian leadership has no doubt also registered the many more recent reminders of the military power of the US. The devastating, needle-point precision with which the US Air Force killed hundreds of Syrian troops, pro-government militias, and Russian mercenaries who threatened American military support teams to Kurdish-led fighting forces in the Dir Ez-Zor area in northeastern Syria in February 2018 demonstrated without doubt the military power of the US. The Americans’ image of military power contrasts sharply with their much more tarnished image as occupying forces or state-builders. The Iranian military leadership understands that were they to undertake the 250-kilometer thrust into the oil-rich areas of Saudi Arabia through flat desert terrain offering little cover, they would be at the mercy of US air and missile strikes. Such an attempt would likely replicate scenes of the Egyptian army in 1967 in their desperate attempts to flee west of the Suez Canal. So what does a munificent US get from the Gulf States in return for this protection? After all, President Trump, as a businessman, is rightly concerned with the political and economic dividends of American largesse. To be sure, the Gulf States are major buyers of US military hardware. In 2016, Saudi Arabia ranked first in the purchase of US military goods, the UAE ranked fourth, and Qatar ranked fifth. They are also minor but lucrative markets for goods and services produced in the US. Saudi Arabia and the UAE are among the 20 largest export markets of the US (albeit at the end of the list). Yet they totally fail to back up the spirit of the sanctions regime against Iran by remaining in robust economic and trade partnerships with the regime that threatens them most. Iran’s non-oil trade with the UAE, Iraq, Kuwait, Qatar, Bahrain, and Saudi Arabia amounted to $23.89 billion in 2017. In the first three months of 2018, it increased by nearly 17% compared to the previous year. Such trade yields a surplus for Iran of $3 billion – not a trivial figure, though it is substantially less than in previous years. Most of this trade – over $16 billion – occurred between Iran and the UAE despite Iran’s occupation of the Abu Musa and al-Tunb islands, which the UAE claims as its own. The UAE was Iran’s second-biggest trading partner in the world last year after China. Equally robust are the flight connections that the UAE, principally Dubai, offers to and from Iran. Dubai is the second-most popular getaway for Iranian citizens after Istanbul, Turkey. Though flights are not part of the sanctions regime (they should be), denial of flight routes is an important dimension of what sanctions try to achieve – a sense of isolation from international society and economy. Such a sense of isolation is meant to change the position of the Iranian leadership, or, alternatively, encourage Iran’s citizenry to rebel against the regime that brings about such isolation. Curtailing flight routes also has a depressing effect on tourism, which the Iranian state was keen to promote and which indeed increased slightly after restrictions were lifted in 2015. Nevertheless, the 600,000 tourists that did visit Iran, a country rich in cultural and historical sites, are a fraction of the number of tourists who visit neighboring Turkey annually (30-38 million depending on political conditions in the country). The US is of course right to pressure European firms, but the Gulf States should hardly be left off the hook. For these states, failing to curtail trade ties with Iran at this juncture is not just “penny saved, pound foolish” thinking. They might ultimately lose their kingdoms altogether. This is an edited version of an article that appeared in the Jerusalem Post on August 3, 2018.